Great job! I am awarding the highest rating! You're really f***** awesome Jim! We humbly thank Jim Westergren after his hard work and great results. Every challenge you have faced you have managed to solve quickly and in a good technical way. We have recommended you to several of our customers and partners who are in need of a web agency with qualified staff. TodaysWeb with Jim Westergren can really deliver cutting edge knowledge in SEO. I must say that the site works exactly as I imagined [....] We are very pleased with your help. We would like to thank TodaysWeb and especially Staffan for an extraordinarily good and thorough piece of work. We are happy to recommend your services and also hire you for more work in the future. 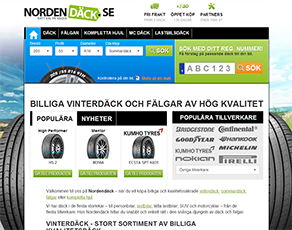 For Nordendack.se we built a brand new SEO optimized platform. It was created for rapid expansion to 30+ countries. Within a week, results began to show. 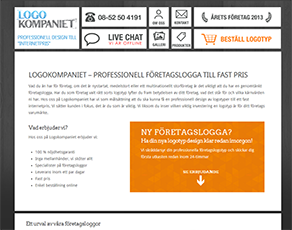 Logokompaniet wanted to invest in SEO and contacted us. We built four different landing sites that quickly ranked in Google. 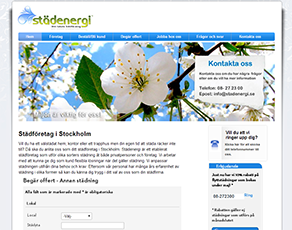 In our cooperation with Städenergi we built seven landing sites with focus on conversion and SEO. A great investment! 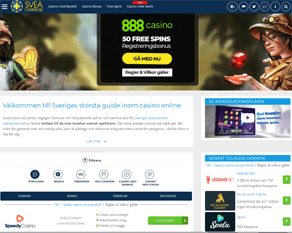 We do SEO consulting for Sveacasino.se and our help they are now ranked among the highest in the Casino niche in Sweden. 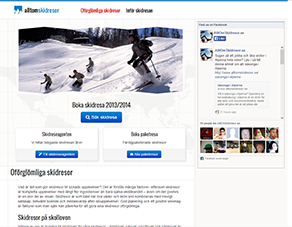 We built five landing sites to Alltomskidresor.com, including skidresa.net. All sites were created on the N.nu platform. 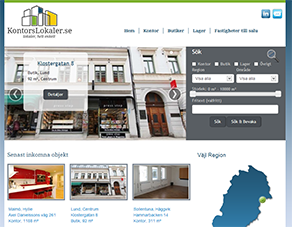 Relier AB needed help to improve the SEO for kontorslokaler.se. 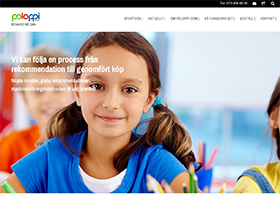 We built a brand new site that is optimized to be highly visible Google. 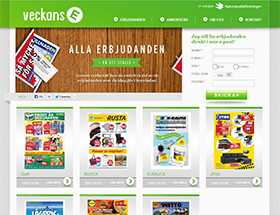 VeckansE.se helps their users to receive offers in an efficent way. We added a number of new features, Worpdress. Doktorn.com wanted to expand to Norway , Denmark and Finland . We helped them set up the sites and coordinate translations. 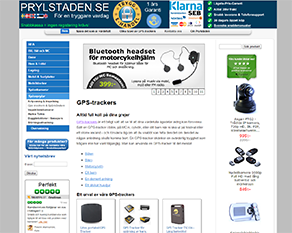 For Prylstaden.se we built 20 new landing sites. The goal was to rank up on some 30+ words and create seemless transition between them and the main site. 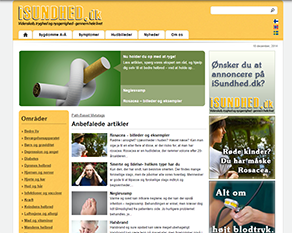 Spådam.se needed a facelift and new features. We created a new template and built several other highly advanced systems in PHP. 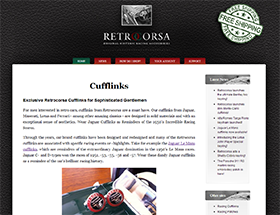 For Retrocorsa.com we created a new template to N.nu platform. With the help of the N.nu platform a number of landing sites was quickly created. 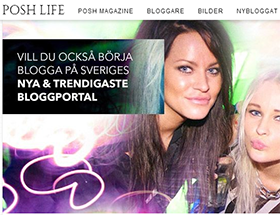 Sweden's latest & amp; trendiest blog portal. We helped create a new WordPress template from HTML as well as custom widgets. 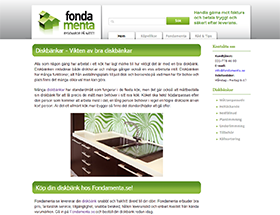 Fondamenta.se wanted our help to create a number of themed landing sites. We created a new template on N.nu platform and built the sites. For Poloppi.com we built a customer registration, tracking and a complete admin system in CodeIgniter. 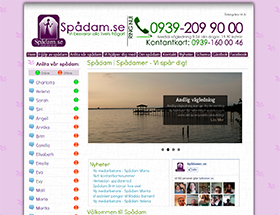 Spådam.se can now boast its own mobile app for both Android and iPhone. Built largely in HTML5. - We always keep what we promise. - Result is what counts. Subscribe to our newsletter to be the first to know about new services and projects from our company. © 2019 TodaysWeb Ltda. All Rights Reserved.